Matt and I both cried. After 4½ days of driving across Australia, hearing from every-day hard-working Australians about how difficult it is to just get on with producing, we had one hell of a welcome to Canberra yesterday morning! 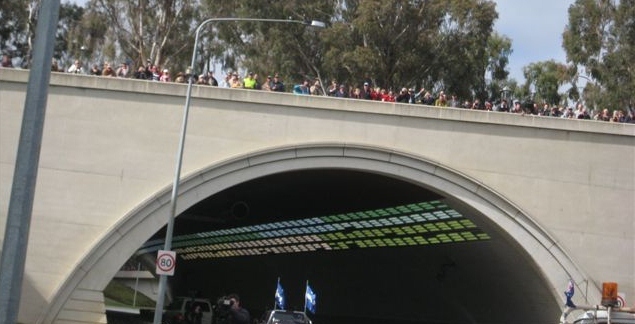 The overpasses were lined with people clapping, saluting, waving flags, giving us thumbs up. The sound was amazing. 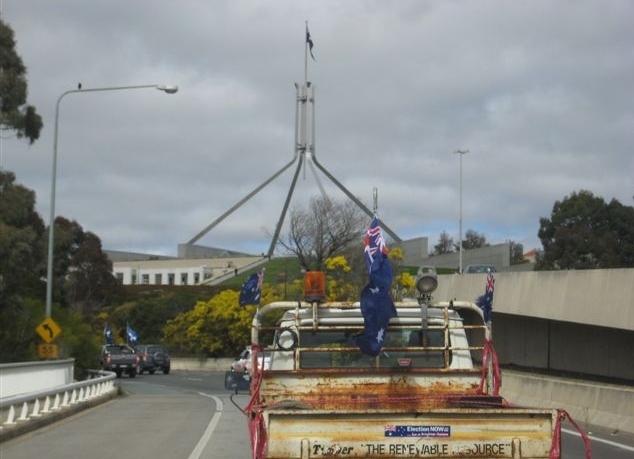 Semi trucks, cars, vans, campervans, utes, prime movers … many with Aussie flags flying and most with “no carbon tax” signage on them … drove around and around State Circle yesterday morning in a noisy, beautiful, positive display of people power. 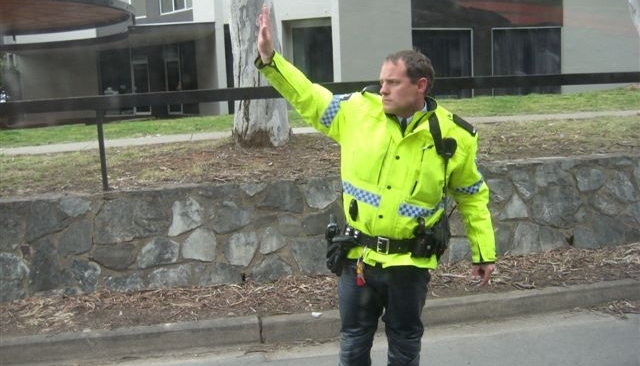 While Federal Police blocked our way up to the lawns of Parliament House, we continued to drive around the hub of our nation’s political and bureaucratic processes. At long last, we gave up and parked on a side street about 1 kilometre away. 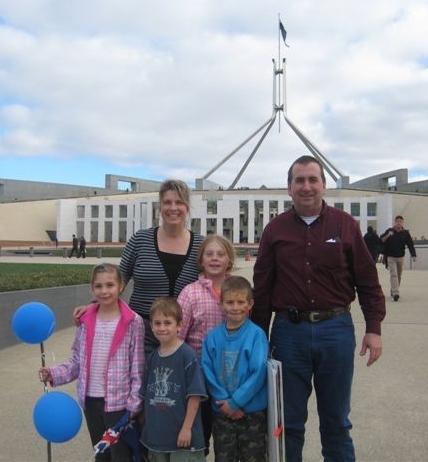 By the time Matt, the kids and I got to the lawn, Tony Abbott was coming off the stage. We had missed much of the meat of the rally. Of course, it was that time period before the large mid-morning convoy participants arrived that the media took their footage. We knew that we would be painted as extremists, but the reports this morning are quite humorous. How could we be both a dangerous, rowdy rabble AND be only 12 in number? A year ago, they would have ignored us. We’re on our way to winning. 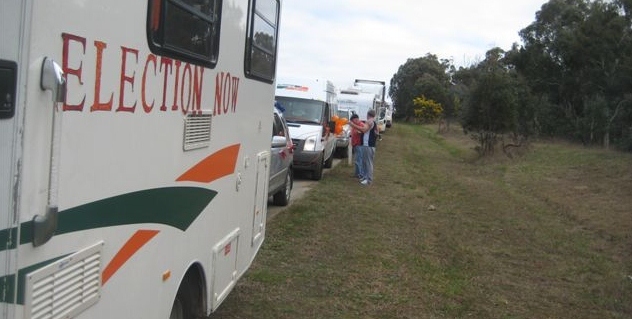 Our Convoy #6 met up with Convoy #8 in Coolac, 144 km north of Canberra. A welcome BBQ and live entertainment greeted us there. 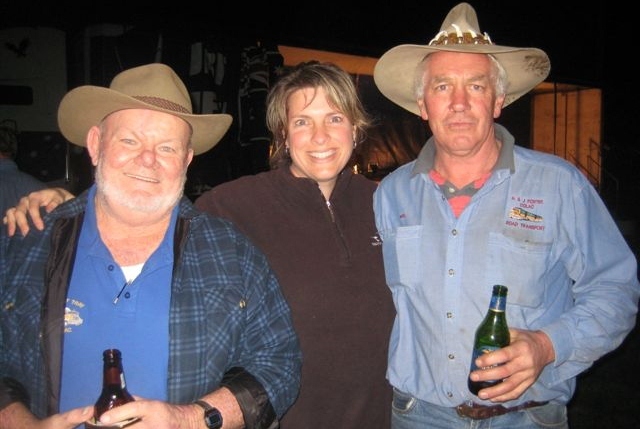 Bill McAuliffe (Billy Mac) was a truckie for his working life, which ended when he had a liver transplant 5 years ago. He and his wife and their dog, Fluffy, drove all the way across with us from Perth. Billy Mac was our "sweep man," coming last in the convoy to ensure everyone was with us and okay. Noel Porter operates Porter Transport out of Victoria, and worked his tail off to promote and fund the convoys. We were thrilled to meet up! 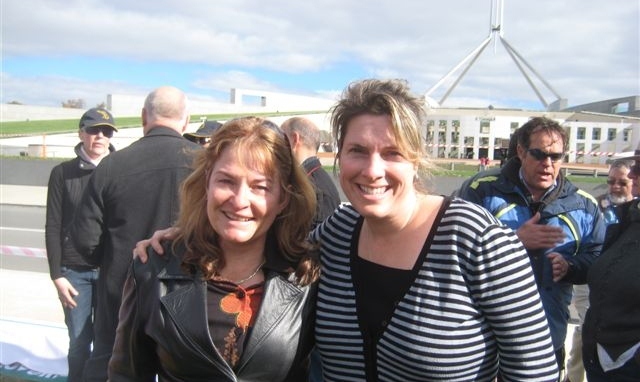 Kelly and Haley Morris were in front of us for a time during the convoy in to Canberra. 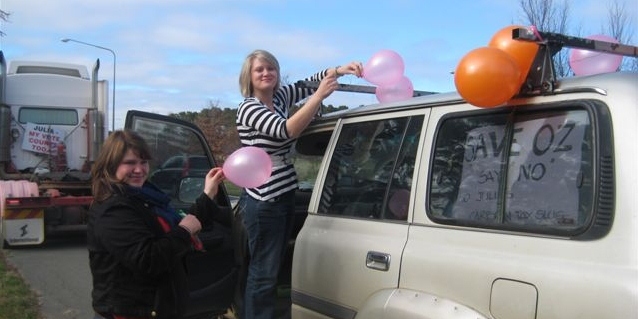 They took the opportunity while we were stopped at the border to put more balloons on. 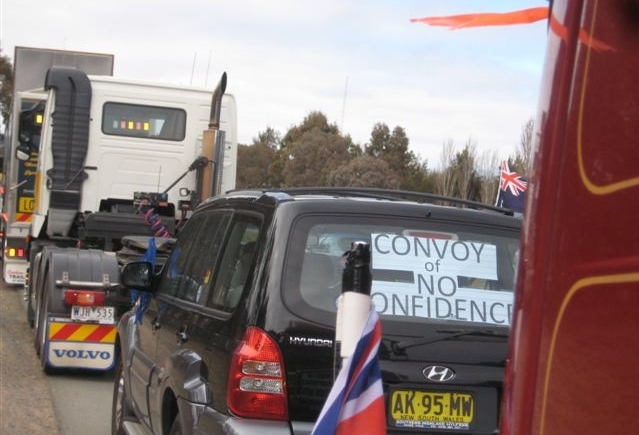 The convoy quickly grew, as people who knew we were coming in to Canberra joined in with us as we inched closer to the capital. I don’t know how we did it, but we ended up being third in the convoy entering Canberra at 10:30. Other convoys had entered the city starting at 6:30 a.m. 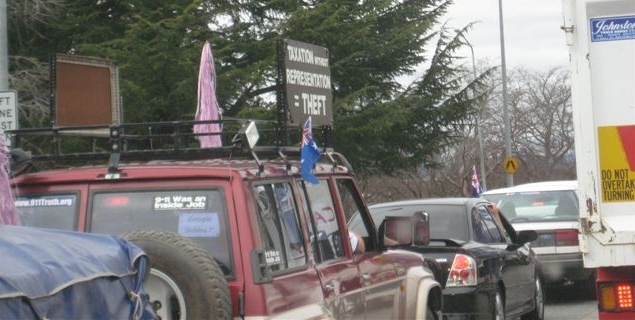 The national organisers had planned to a T to ensure that local traffic was not affected during peak rush hour. We were welcomed by people on the overpasses and the side grassy hills while we drove around State Circle. Matt and I both cried, we were so moved by the moment. 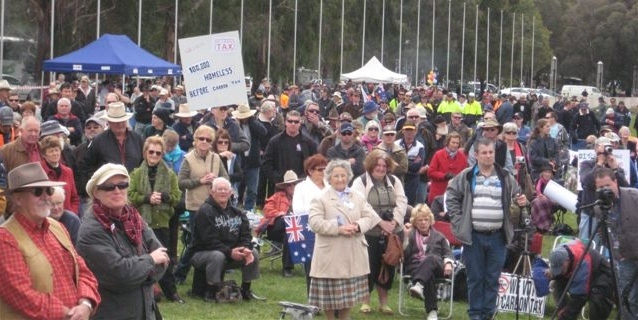 The ballooning of the size of the convoy, the people welcoming us to Canberra, and the sheer decibel level of the shouting, cheering, and horn honking was an adrenalin rush. As Matt said, "This is definitely NOT a fizzler!" 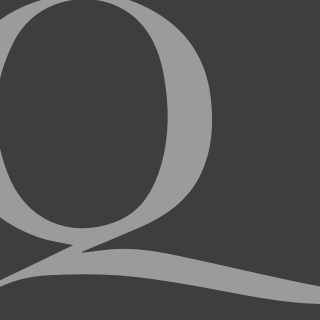 This (Tuesday) morning, we’ve been shocked at how many in the media and the talk-back callers in Canberra have spun the events of yesterday. They’re saying we were only 12 in number (actual quote! ), that we were angry, dangerous rabble (actual quote! ), that the one polite, well-spoken woman from our convoy who rang in this morning was not representative of the rowdy rabble that was there (actual quote!). This last guy, when asked if he attended, essentially admitted that he did not. 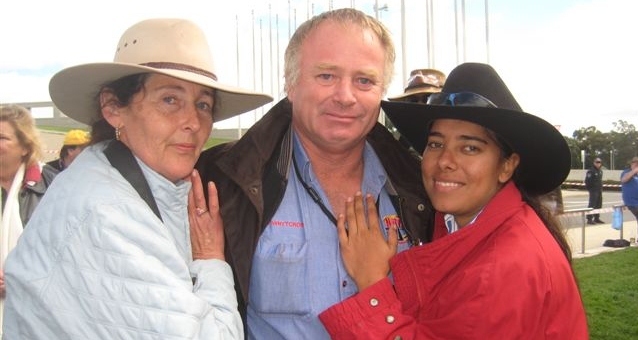 "Convoy Cate" Stuart (Charleville, QLD), Peter Whytcross (Port Hedland, WA, Treasurer of National Road Freighters Association), and Rashida Khan (Northern Territory primary producer), all of whom convoyed the entire way to Canberra. Peter has the distinction of driving the largest distance to show his dissatisfaction with the Federal Government. Janet with Marlee Ranacher, the woman who’s story on 60 Minutes touched us so much we decided we had to join the convoy. Marlee spoke at the rally. Four core members of our Convoy #6: Gwen, Bill, Rohan and Greg. 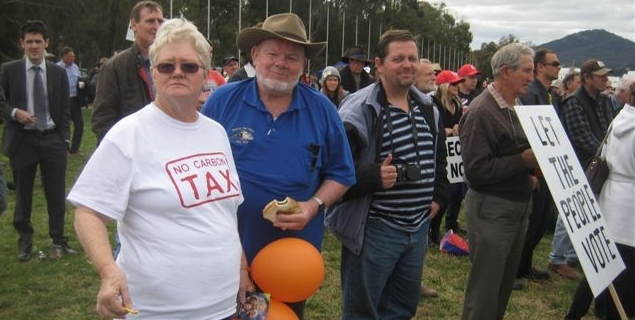 The Thompsons got to Canberra.